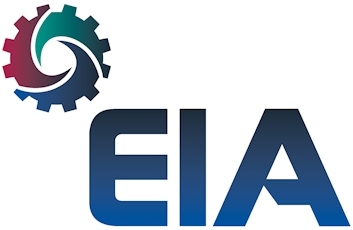 Top-tier suppliers to the oil and gas, and power generation industries are no different to companies involved in any other supply chain; they need to constantly work smarter, quicker and more cost-effectively, to meet their customers’ demands and to ensure that their own bottom-line margins are not only maintained but — ideally — improved. This means investing in best-in-class manufacturing technologies; and as global oil and gas markets become ever-more competitive, an increasing number of suppliers and OEMs are seeking (and achieving) formerly undreamt of production savings — some by taking advantage of the ‘Engineering precisely what you value’ strategy offered by Starrag (www.starrag.com), which has a UK subsidiary in Birmingham. Starrag’s comprehensive product ranges include machines from Dörries and Scharmann that are helping three European companies undertaking oil and gas work. For example, the Swiss company Burckhardt Compression is reducing unproductive times on piston compressors with Dörries and Scharmann machines that feature high levels of automation. 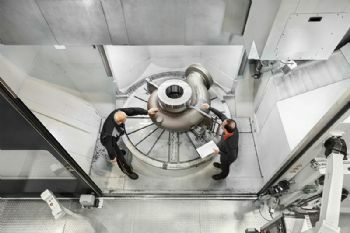 Mokveld, which is based in the Netherlands, is reducing long production times — as well as possible re-location errors, and certainly costs — by machining its high-pressure control and stop valves complete in a single set-up on a Dörries vertical lathe; and one-hit machining is also benefitting KSB of Germany, which has a Dörries vertical lathe and is minimising unproductive times in the production of pump housings by replacing multiple conventional machines. In each of these cases, Starrag easily and cost-effectively ‘modified’ each machine to suit the user’s unique machining needs, allowing them to gain significant production benefits via Starrag’s ‘Engineering precisely what you value’ strategy. Manufacturing piston compressors that operate at pressures up to 3,600 bar, Burckhardt Compression currently uses four Starrag machines: a Scharmann Alpha 1250 M machining centre, a Scharmann Heavyspeed 2 ram-type boring mill, a Dörries Contumat VC 2400/200 vertical turning lathe (VTL), and a Scharmann Ecoforce 2 HT4 machining centre. These are used to machine cylinders, cylinder blocks, frames, valve heads and steering rods. Required to produce components up to 5.9m long and weighing as much as 30 tonnes, the production routines are demanding; they include finish-machining to tolerances of 20µm and producing H7 holes up to 1.3m deep. Burckhardt Compression says the Starrag machines consistently meet all requirements, while also generating time and cost savings compared to former methods. August Dünki, the company’s director of large-part manufacturing, said: “We gain particular benefits by using the Dörries VTL’s additional moveable work-table axis for set-up and/or in-situ workpiece inspection, while unproductive time is reduced via the 72.4hp Ecoforce 2 HT4 machining centre, as this features head attachments with automatic pick-up and robotic tool handling. Meanwhile, Mokveld is using an 80.5hp Dörries Contumat VCE 2000 vertical turning lathe (VTL) to machine high-pressure axial-flow control and stop valves up to 2.4m long x 1.9m in diameter and weighing up to 12 tonnes. These are produced from a variety of materials, including cast and chrome steels, duplex, super duplex, Inconel and titanium; and some 80% of machining — to tolerances of 30µm — is focused on turning. 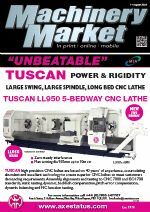 Moreover, the use of a ‘second’ work-table is providing significant rewards, enabling a workpiece to be set up while another is being machined. 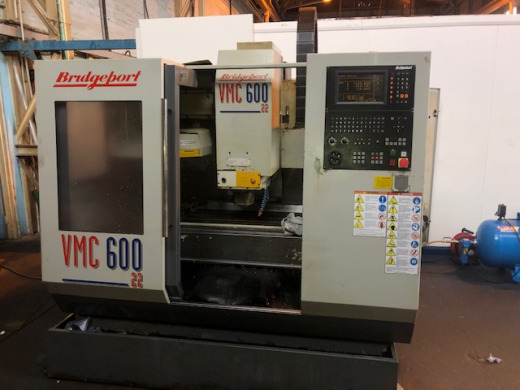 The rewards of using a Dörries Contumat VTL — in this case a VCE 2800/220 MC model — are also being gained by KSB, which is based near Nuremberg and is machining machine pump housings weighing up to 3 tonnes to exacting IT6 tolerance standards. Replacing a process that involved turning housings’ front and rear sides, then re-locating on a different machine for drilling, the Contumat now performs all required tasks in a single clamping. As a result, this VTL has not only reduced throughput times but also replaced multiple conventional machines.